1. In a large bowl, add all the ingredients for the slaw salad except the salad dressing and topping. Just before serving, toss with dressing. Divide among 4 dinner plates. 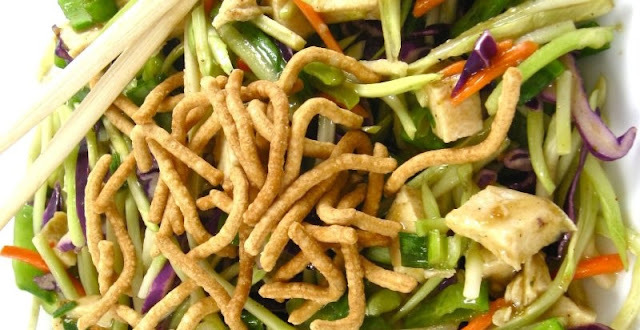 Sprinkle each with 1 tablespoon of Chow Mein noodles and serve with chopsticks, if desired.